Is the Demise of Anime Really Upon Us? Some people at BEA 2015 disagree. We recently published an article covering Doomsayer Hideaki Anno’s prediction that Japanese animation is on the decline for various reasons ranging from lack of creativity, the financial rise of other Asian economies, and the refusal to change the Japanese animation industry’s business model. As any fan knows, Anime and Manga are closely related and have a relationship with each other that allows for the promotion of new print titles and animated series. When a popular Manga really takes off we often see the rise of a corresponding Anime as a response. Attack on Titan is a wonderful example of a series that has really taken off both in print and on the screen. Soon Attack on Titan will have a full length, Live Action film! Now that is what I call popular! In other cases, an Anime may get a Manga counterpart if the series proves interesting enough. Example – Hell Girl, which debuted first as an animated series and then became serialized as a Manga that shared similarities with the Anime but followed different stories. Black Butler Volume 20 publishes July 21, 2015. In New York City, some people at Book Expo America are feeling a lot more optimistic based upon sales trends in the US market. Rachel Hairston, Associate Sales Director at Hachette Book Group, who supports Yen Press believes that Manga sales are picking up and that Anime is directly contributing to the popularity of titles published by Yen Press. “There’s a lot of increased interest and Anime is actually assisting us in selling more Manga… Anime can promote readership and Manga can in turn.” Rachel went on to say that Anime and Manga share a symbiotic relationship in which people will generally explore the other medium if they’re familiar with a series. I can certainly agree since my first exposure to manga was through Sailor Moon. I didn’t read the series until well after I re-watched every episode several times. In my case, like Rachel’s when she was younger, Manga really wasn’t as accessible in the United States as it is today. Anime definitely sparked my interest in buying Manga. Rachel didn’t want to speak on behalf of the Japanese market but felt confident in the rise of Anime and Manga in the US because of increased interest in thanks to Hulu, Netflix, and Crunchyroll premium service. 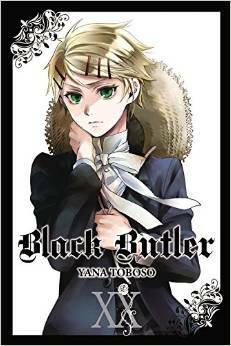 She cited Black Butler as an example of growth in sales for Yen Press. She mentioned that titles like Sword Art Online, Black Butler, Soul Eater, and Durarara!! 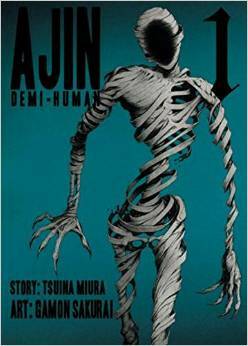 have been very popular for Yen Press. She also felt that light novels were gaining traction for her business, especially with interest in light novels for Sword Art Online and Log Horizon. Compared to over a year ago light novels are now a larger part of Yen Press’s business. “Titles are growing, a lot of retailers are expanding their selection, they’re taking in a lot of light novels and manga, it’s very encouraging…” said Rachel Hairston when asked about sales trends in the business. She is optimistic that this is happening across the industry. 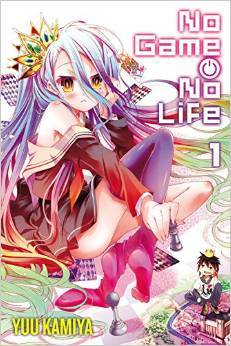 No Life No Game Volume 1 publishes April 21, 2015. Rachel grew up with fantasy fiction and got into Dungeons & Dragons and later became interested in comics like Camelot 3000. She recalled that Manga in the 90s in the US was in its infancy and her only access was through purchasing the Japanese titles to look at the illustrations. I’m suddenly reminded of my own similar experience staring at the images of Sailor Moon Vol 1 with no understanding of the Japanese text. She recommends that Outerhaven readers check out Sword Art Online, No Game No Life, Alice in Murderland, Agame ga Kill and if you’re interested in fantasy titles published by Orbit (another imprint Rachel works with), you may want to check out Kim Stanley Robinson’s Aurora and Wake of Vultures by Lila Bowen. is not on the decline and is actually helping to boost sales of our Manga. The best example of that is Attack on Titan… which has been a best selling Manga series for Kodansha for the past two years. What we saw was a lift in sales of the Attack on Titan print Manga volumes once the Anime became available in the United States…” Like Rachel, he felt that apps like Crunchyroll are helping the industry grow. He also mentioned Fairy Tail, another series that has not shown any decline in sales for Kodansha even after 50 volumes. In fact, both mediums are more popular than ever! Brad said,”I’ve been selling Manga for five years now for Penguin Random House and it’s more popular now than when I started this gig.” To keep the momentum going, Brad suggested simultaneous releases of new content in the US and Japan. He thinks more Anime and Manga needs to be available and converted to English to reach a wider audience without any lag between the different market releases. Brad was asked to tackled the question of creativity in the industry since that was one of Hideaki Anno’s complaints. Anno believes there is a lack of creativity, but Manga trends seem to point in the other direction at Kodansha. What if you were a mysterious almost immortal with regeneration powers? I asked Brad Andrews how he got into the industry and he said he ended up in New York and got into publishing. His favorite Manga series is Attack on Titan because it’s a dystopia future with a completely different future that is compelling to stereotypical dystopia stories. 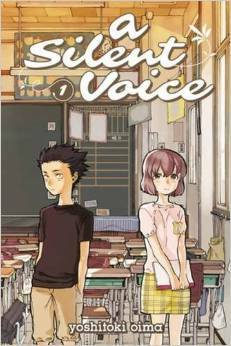 For our readers, he suggested you check out A Silent Voice published by Kodansha and Aijin, which is a relatively new series published by Vertical. **BookExpo America (BEA) is the leading book and author event for the North American publishing industry. It’s the best place to discover new titles and authors, network, and learn the latest trends during the BEA Content & Digital Conference. BEA 2016 will be held in Chicago.